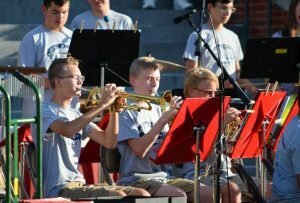 The mission of the Greater Decatur Youth Band is to give young musicians a chance to have fun and rewarding musical experiences over the summer months and to build on the musical opportunities they have during the school year. Students have an opportunity to work with other talent young students from all over the Decatur, to learn from experienced music educators, and to perform in various venues around town. 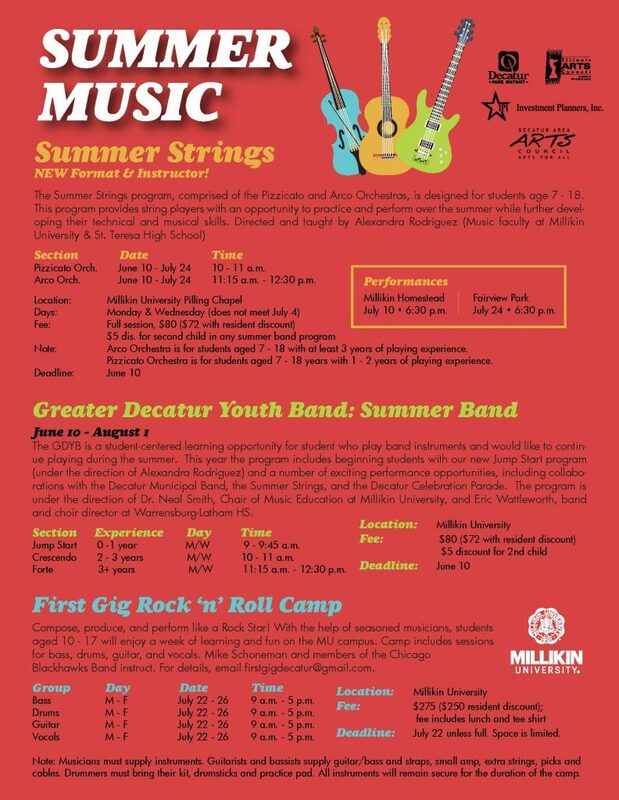 This year program will include collaborations with the Decatur Municipal Band and Summer Strings programs as well as performing at the Decatur Celebration Parade. 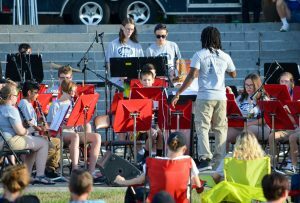 This year the Greater Decatur Youth Band expands to include Jump Start, a program from students who are just getting their start playing a band instrument. 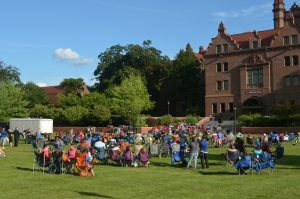 It will include individualized instruction from Millikin teachers using musical activities designed to help students understand their instrument and make great music right away. Students will build a strong foundation on their instrument that will help them as they continue to develop their musicianship in the future. This GDYB program is directed by Dr. Neal Smith, Coordinator of Instrumental Music Education at Millikin University and Director of the Decatur Youth Symphony Orchestra who bring over thirty years of experience working with young musicians. Assisting Dr. Smith is Eric Wattleworth, director of bands and choirs at Warrensburg High School who returns this summer as the assistant director of the program. Also teaching this summer as director of the Jump Start program is Alexandra Rodriguez, Director of the Millikin Preparatory Department and Music Director at St. Teresa High School. 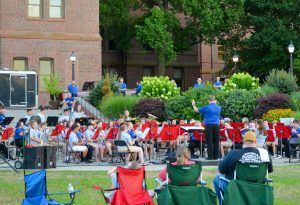 Stay connected with the Greater Decatur Youth Band and its director, Dr. Neil Smith, throughout the year. Visit the GDYB Facebook page here!